A Federal High Court, Abuja will on June 21, 2018 ruled on a suit seeking the proscription of Fulani herdsmen as a terrorist organisation. 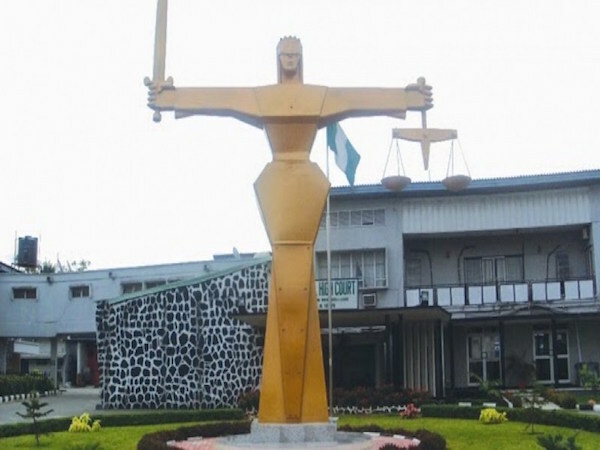 Justice Gabriel Kolawole fixed the date after listening to an ex-parte application filed by a Makurdi-based legal practitioner, Mr. Matthew Nyiutsa, seeking the leave of court to compel President Muhammadu Buhari and the Attorney- General of the Federation (AGF) for a competent jurisdiction to proscribe Fulani herdsmen operating in Benue State and Miyetti Allah Kautal Hore as terrorists and terrorist organisations respectively. The plaintiff, who appeared in person, told the court that he is a victim of the continuing Fulani herdsmen attacks on communities in Benue State. He said that the attacks resulted in the death of over 200 persons, destruction of both private and public property such as residential houses, hospitals/clinics, churches, schools, bridges, markets worth billions of naira, grievous bodily injuries to thousands of persons in their ancestral homes, and the take-over and occupation of ancestral houses of persons displaced by Fulani herdsmen in Mbadwen, Uvir, Mbabai, Nyier, Mbayer/Yandev and Saghev Council wards of Guma Local Government Area and some parts of Gwer-West Local Government Areas of the state. Nyiutsa submitted that the series of armed attacks particularly from January 1, 2018 to May 2018 on inhabitants of communities in Guma, Logo, Makurdi, Gwer-East, Buruku, Tarka, Katsina-Ala and Ukum councils by Fulani herdsmen using sophisticated weapons like AK-47 automatic rifles amounted to acts of terrorism as defined under Section 1(3) of the Terrorism (Prevention) Act 2011 as amended. He further submitted that his right to ventilate his predicament under Section 6 (6) (b) of the 1999 Constitution, must be preserved and protected by the court. Nyiutsa referred the court to the case of Governor of Ekiti State vs Fakiyesi  to convince the court as to his locus standi to institute the case. Besides, the lawyer submitted that where an applicant shows some sincere concern on some constitutional issues as well as the nature of the breach of duty, the court can hear him. After listening to his submissions, Justice Kolawole reserved ruling till June 21.